Most sociologists of religion describe a general decline in religious faith and practice in Europe over the last two centuries. The secularizing forces of the Enlightenment, science, industrialization, the influence of Freud and Marx, and urbanization are all felt to have diminished the power of the churches and demystified the human condition. In Andrew Greeley's view, such overarching theories and frameworks do not begin to accommodate a wide variety of contrasting and contrary social phenomena. 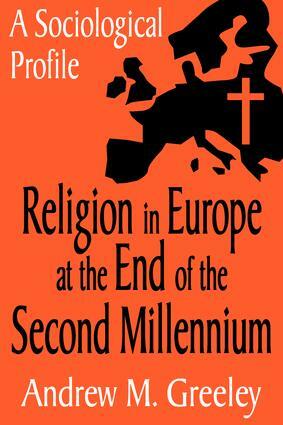 Religion at the End of the Second Millennium engages the complexities of contemporary Europe to present a nuanced picture of religious faith rising, declining, or remaining stable. Russia: The Biggest Revival Ever?